THE strike at Sibanye-Stillwater’s gold mines, which was on January 15 extended to its platinum group metal (PGM) mines in Rustenburg, feels like an important moment for both the company, and the union leading the strikes, the Association of Mineworkers & Construction Union (AMCU). At the centre of the standoff is Lonmin, a company Sibanye-Stillwater intends taking over. 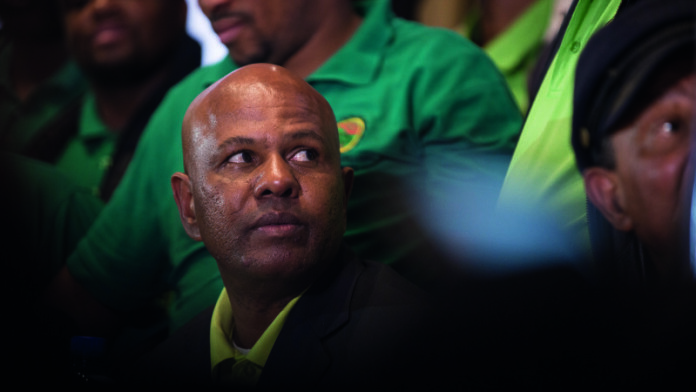 Lonmin is the heartland of AMCU president, Joseph Mathunjwa’s support base, a following he achieved in the events leading up to and following the Marikana tragedy in August 2012 in which 34 protesting mineworkers were shot dead. In the years following Marikana, Mathunjwa enjoyed a good relationship with Lonmin’s CEO, Ben Magara. Operationally challenged, financially jeopardised, the last thing Magara needed was a union uprising so he kept Mathunjwa tight; indulged even. But in Sibanye-Stillwater, Mathunjwa has its CEO, Neal Froneman, as his opposite number. Froneman is not known for indulging unions and he isn’t likely to be cornered in quite the same way as Magara at Lonmin. That’s been evident in the two-month long AMCU strike at Sibanye-Stillwater’s Kloof, Driefontein and Beatrix mines where the union’s following is variable. A business update which demonstrated the company was able to work around the effects of the strike – whilst still acknowledging its impacts – enraged Mathunjwa. That’s not how the union boss likes his CEOs. He wants them back-to-the-wall and pliant. So when wage negotiations come around later this year, it’ll be critical for Mathunjwa, as it will for Froneman, to have their territories marked out. This appears to be the backdrop to the secondary strike called at the platinum mines. Mathunjwa is testing how far he can push Sibanye-Stillwater until it starts to really squeal. Froneman, however, is keeping a poker face about the matter, saying the company can absorb the impact of the strike; at least for a while. The problem in this game of chess, as wage/union confrontations always are, is that AMCU’s employees get hurt. According to James Wellsted, Sibanye-Stillwater’s head of investor relations, striking employees at the gold mines will only recover their wage losses in about three to four years. The company’s hope is that the Commission for Conciliation, Mediation and Arbitration (CCMA) works quickly to verify claims its gold mine union membership is predominantly drawn from the ranks of the National Union of Mineworkers, Solidarity and UASA which have already accepted the three-year wage offer at the gold mines AMCU has rejected. If that’s the case, the offer can be extended to AMCU which it must accept with no argument, or risk operating an unlawful strike and losing legitimacy. Even then, one senses the real battle is still to come once Lonmin is absorbed into Sibanye-Stillwater. I said it before and I’ll say it again: Neal has bitten off more than he can chew…AGAIN. He and his nemisis, Joseph, will fall together. And yes, we’ll move on from this die hard approach. I repeat: Let them fight. This was bound to happen. With an offshore (and lucky (or clever?) bet on palladium) there was always leverage on the SA assets. Fall into line or we will mine and allocate capital elsewhere. and perhaps its about time. AMCU need to grow up if they want to be come the major union, otherwise they will get beaten up by SGL and Froneman. Neal will do it to assist his workers! Quite a smart strategy from Mathunjwa,protecting his union fees,and banking on the Hope’s that Sibanye agrees to his terms,that way hell have more workers shift to Amcu,hence more union fees for him to enjoy.